Henry Bemis and his all-too-breakable eyeglasses? Check. Talky Tina? She was there. Agnes Moorehead, battling two tiny aliens who crash-land on her roof? Front and center. A gremlin on an airplane wing? He flew in just for the occasion. Yes, the roster of fifth-dimension All-Stars was long at the Syfy channel’s annual two-day Twilight Zone marathon this New Year’s. From the tension-filled houses on Maple Street to the lush cornfields of Peaksville, Ohio, hardly anyone missed the festivities. There’s nothing like ringing in the new year with a party. 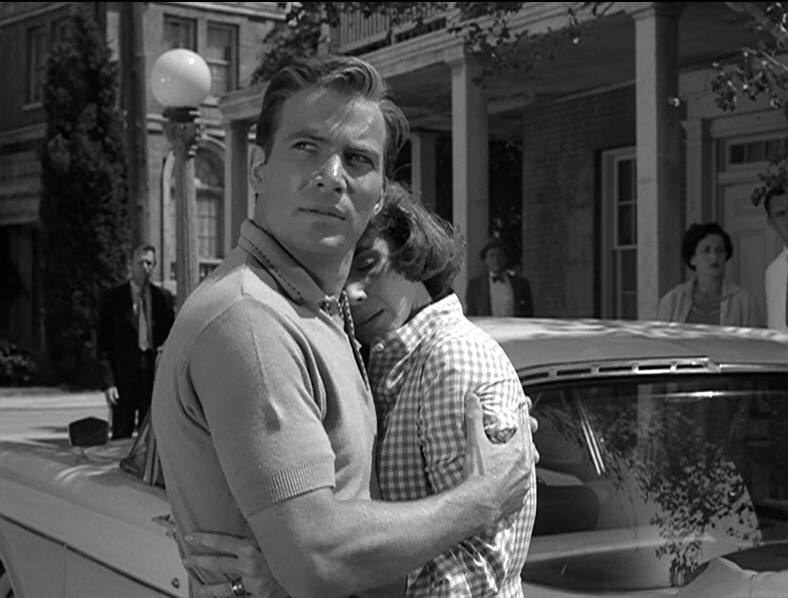 And if you’re a fan of The Twilight Zone, you know the best one around is the one thrown by the Syfy channel. I mean, two days in the fifth dimension, bingeing on your favorite episodes, and maybe discovering some “new” ones? Whether you go the distance, or dip in here and there for a few short excursions into the unknown, it’s hard to pass up. A lot of fans consider the Dec. 31/Jan. 1 TZ marathon more essential than a glass of champagne and a list of resolutions. For many, it’s the only time they’ll watch the series all year. If there’s one thread that unites the many different characters that populate the fifth dimension, it’s the unexpected. An ordinary drive? A typical day at work? Guess again. You suddenly veer down a very different path. I had that experience recently. Just as the New Year’s Eve marathon was getting underway, a serious family matter came up out of the blue. So after welcoming hundreds of new followers to my Twitter page, I tweeted for only one out of the following three days. I certainly expected to throttle down after two days of high-intensity updates, but 48+ hours of radio silence wasn’t the plan.